The township Road Commissioner is responsible for the construction and maintenance of all roads and bridges in the Road District. The Road Commissioner submits an annual tax levy for the following year. A township road district is a separate government, in many aspects. Neither the township supervisor nor the town board of trustees has any jurisdiction, or authority, over the road commissioner and/or employees of the road district. The Road Commissioner submits to the Clerk and township Board of Trustees a Budget and Appropriations Ordinance for roads and bridges which is available for public inspection and review for 30 days before final action. After the Budget and Appropriations Ordinance is adopted, the Road Commissioner has statutory power to expend the funds according to the line items established in the appropriation ordinance. The Road Commissioner’s office is located at 10620 N. Galena Road, Mossville, Illinois. The mailing address is P.O. Box 170, Mossville, Illinois 61552. Email info@medinatownship.org. The Medina Township Plan Commission consists of five members of the variance, or special use petition submitted for the unincorporated areas of variance, or special use petition submitted for the unincorporated areas of Peoria County within the proposed zoning, variance, or special use request would have on the health, safety, and welfare of Medina residents. After review and analysis, a decision on the request is made by the Plan Commission board. They forward their recommendation to the Medina Township board for consideration. The Medina Township board will review the recommendation of the Plan Commission and vote to support or oppose the recommendation. The township board will forward Medina Township’s position on the petition to Peoria County Planning and Zoning. 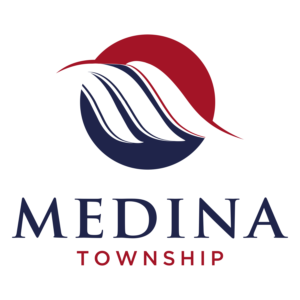 The Medina Township Plan Commission Board shall meet at 7 p.m. on the first Monday of each month if any cases are presented. (*except as noted)Special meetings or rescheduled meetings shall be announced by posted or published notice. All meetings shall be held at the Medina Township Hall, 10628 Galena Road (Route 29), Mossville, Illinois. Medina Township Park provides excellent picnic shelters for a family get together, a picnic or just a place to enjoy the quiet. Shelters may be reserved at no cost by contacting the Medina Township office at info@medinatownship.org. Medina Park also coordinates with The Mossville Medina Youth Baseball and Softball Association (MMYBSA) for the use of the park facilities. The township coordinates, on a contractual basis, for the use of the township park for summer activities for youths ranging in age from 5 to 16 years. Anyone wishing to participate in a baseball or a softball program can obtain information on the MMYBSA programs offered by visiting their website at www.MMYBSA.com. Medina Township, in coordination with MMYBSA, offers the Medina Park facilities for many of the games played for the Brad Wallin Tournament to raise funds for the St. Jude Hospital. The Medina Township park opened in 1994. It has six completely fenced ball diamonds with a grass infield on one of the diamonds. Medina Park is also the Home field of the Mossville Junior High Baseball team. The park has a professionally installed fully enclosed batting cage, four covered pavilions with picnic tables and portable bleachers. A central services building is available (when open) which contains a full-service concession stand and restroom facilities, which are handicap accessible. The township represents self-governance in its truest form. Medina Township is governed by a board of five members elected at large. This board is directly accessible to the people with without layers of bureaucracy. The board serves as the township’s legislative body, setting policy, enacting local ordinances, adopting budgets, and levying taxes. The township board also performs a number of executive functions, such as enforcing ordinances, approving expenditures and hiring employees. The board, as part of its administrative duties, entered into a contract with the Peoria County Sheriff’s Department for a designated deputy to patrol Medina Township. Also, on a seasonal basis, the township board contracts with the Peoria County Sheriff’s department for a bike patrol in addition to the designated patrol car. The Medina Township parks and recreational areas also are under the administrative responsibility of the township board and overseen by the township supervisor with the support and assistance of the Medina Township Clerk. The township, through its park system, host such events as the annual Brad Wallin St. Jude Baseball tournament. The township park also serves as the home baseball field for the Mossville Junior High baseball team. Notary public service at no charge for Medina Township residents is provided during normal business hours. The administration of Medina Township is responsive to the community needs because their elected officials are closer to the people and far more accessible. Residents can actually reach the township supervisor, the township clerk, the township trustees, the township assessor or township road commissioner by telephone, email or at the monthly meetings. Townships perform very efficiently compared to other units of local government. Township government existed more than 140 years before the signing of the Declaration of Independence. May it continue to thrive in the 21st century.